The 2018 Ford Focus from Al Packer Ford West Palm Beach in Florida, serving Palm Beach Gardens and North Palm Beach, is a spunky car for the bold driver. 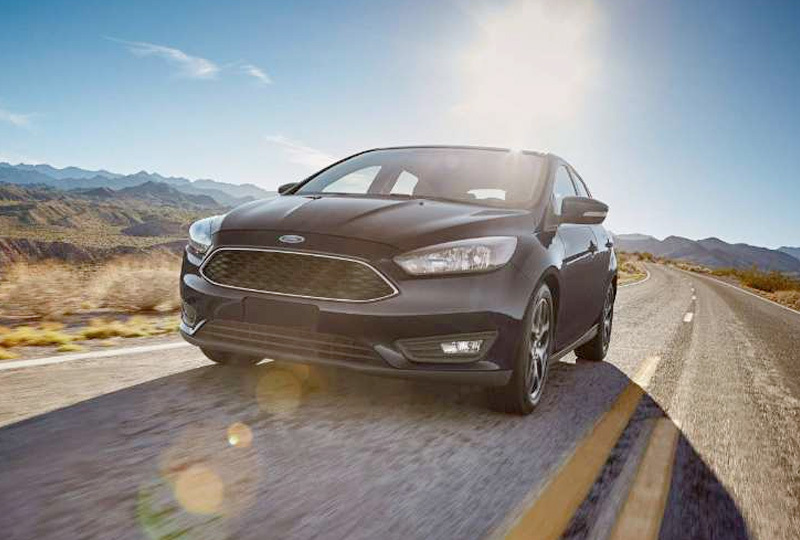 The sporty exterior looks great from every angle, and with the distinctive grille that matches your trim level, no 2018 Ford Focus is alike. Most models come standard with the 2.0L Ti-VCT engine that has exciting driving potential. Enter the cabin and enjoy the available leather-trimmed seats that incorporate intricate French stitching; it's all in the details. An available voice-activated, turn-by-turn navigation system will find you the quickest routes, and the available SYNC 3 infotainment system will keep you satisfied with audio and select apps. When it's time to stop, don't worry about the parallel spots because a standard rearview camera will help you get the perfect angle so you can park like a pro. Right now is the best time to buy a 2018 Ford Focus! You won't find a better 2018 Ford inventory, so browse online, and then call us at 561-689-6550 or visit us at 1530 North Military Trail to take a test drive. We can't wait to see you drive home in the 2018 Ford Focus you've always wanted! Put the gear selector in Reverse and the rear view camera automatically transmits the image of what's behind your vehicle to your screen when you're slowly backing up. 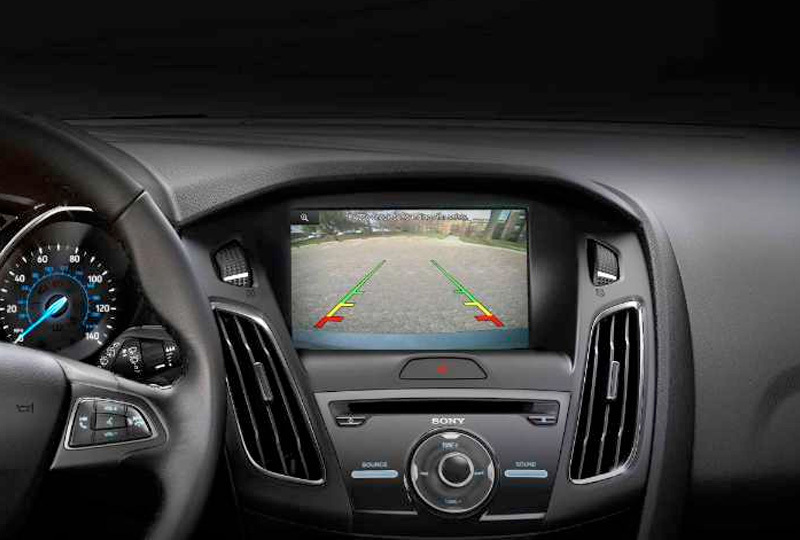 The rear view camera is standard on all models. AdvanceTrac ESC constantly monitors road conditions and driver responses, adjusting engine power and applying ABS to help keep all your wheels firmly planted. 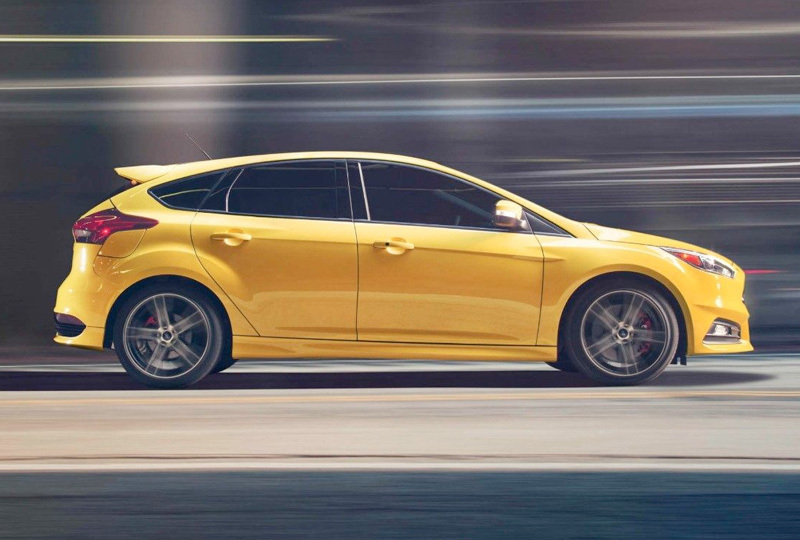 ESC brings an added measure of handling confidence to the agility you expect in a Ford Focus. 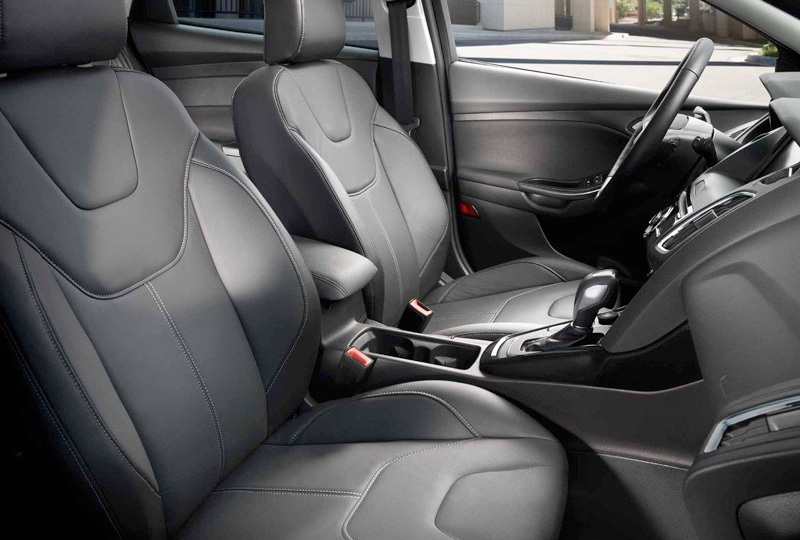 The Focus interior is as attractive as it is comfortable. Fine quality is evident in details such as available alloy trim and the French seams of the available leather-trimmed seating. Cloth bucket seats with two-way head restraints are standard. For more premium accommodations, Focus Titanium has a leather-trimmed eight-way power driver's seat with four-way head restraints as well as heated front seats and a heated leather-wrapped steering wheel. Starting MSRP excludes destination/delivery charge, taxes, title and registration. Optional equipment not included. Starting A, Z and X Plan price is for qualified, eligible customers and excludes document fee, destination/delivery charge, taxes, title and registration. Not all vehicles qualify for A, Z or X Plan. All Mustang Shelby GT350 and Shelby GT350R prices exclude gas guzzler tax. *Summer tires standard and 18-inch high-performance all-season tires optional on S. Remember that even advanced technology cannot overcome the laws of physics. It's always possible to lose control of a vehicle due to inappropriate driver input for the conditions. Driver Assist Features are supplemental and do not replace the driver's attention, judgment and need to control the vehicle.